Mr. Reeves is a seasoned criminal and civil attorney with over 28 years legal experience. 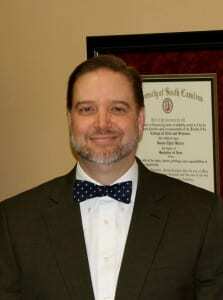 In addition, he is licensed in both North Carolina (licensed in 1996) and South Carolina (licensed in 1989). Because he is licensed in two States, Mr. Reeves can assist residents with criminal charges on both sides of the border. 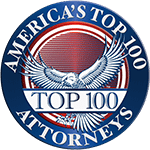 He is an accomplished trial lawyer who is inducted into the National Trial Lawyers Top 100 trial attorneys. 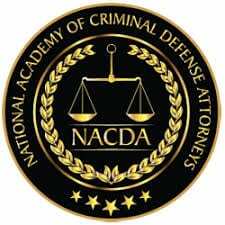 Also, Mr. Reeves is a member of the National College for DUI Defense and National Advocacy for DUI Defense. While reviewing NC DWI cases, Mr. Reeves applies his developed skills as a civil litigator. Consequently, he examines all aspects of the DWI arrest, including any pre-stop and post-stop observations. In addition, Mr. Reeves carefully evaluates how the “roadside” Standardized Field Sobriety Tests (SFSTs) were done. Due to his commitment to DUI defense, he has completed the same training as the police. Following that training, he received certificates from the National Highway Transportation Safety Administration (NHTSA) in “DWI Detection and Standardized Field Sobriety Testing” and “Advanced Roadside Impaired Driving Enforcement (ARIDE).” And finally, Mr. Reeves analyzes the results of breath, blood, and/or urine testing. Only then can he properly advise and guide you on the best course of action. And, of course, you make all important decisions about your case after our advice and counsel. No matter the circumstances of your case, we start with the premise that you are innocent until proven guilty. Always remember that being charged is very different from being found guilty. Therefore, our strategy is always the same in every case. First, we carefully review all of the State’s evidence, including police reports, witnesses, and any available video. What we are looking for is whether the police had “reasonable suspicion” to stop and then “probable cause” to arrest. If we find legal errors, we file Motions to suppress evidence or even dismiss your case in some circumstances. After all, that’s our job and what you should expect from your Charlotte DWI attorney. In criminal cases, the person charged has to prove nothing. Rather, the State has to prove everything, as it should be. And they have to prove you guilty beyond a reasonable doubt to win their case. Furthermore, the jury must vote unanimously for or against you. Consequently, if only 1 juror votes for you, the State must retry your case or negotiate. While this process may seem fair, it is not. Never forget the State of North Carolina has all the money, resources, and power. And if they don’t like something in the law, they can change it. Consequently, it is critical that you hire the most aggressive, experienced Charlotte DWI attorney you can afford. In order to be effective, your lawyer must be willing to actually go to court and fight if necessary. Of course, a trial may not always be your best choice. Rather, that decision is made after careful consideration of all the individual facts in your case. Furthermore, this is where our experience and DUI training comes into play. Then, after we answer your questions, you decide how best to proceed. Whether you choose to go to trial or plead guilty, this decision is always yours. It’s your case and your life. Try not to worry. Instead, let us guide and advise you on your options. After all, we don’t judge and are here to help you. And know that we’re going to get through this ordeal together. 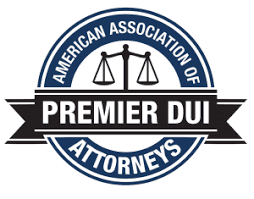 Because of the stress of a DUI, our lawyers are available when you need them for answers. As a result, we meet with new and existing clients after hours and even on weekends. Furthermore, we know you will feel better after learning what to expect in the process. Hence, we explain what you are facing and what to expect. In addition, we go over basic DWI defense strategy and what will happen at each court date. Then you can sleep better knowing you have hired someone who cares and is there for you. Because North Carolina DWI laws are very harsh, you want an experienced Charlotte DWI attorney willing to fight for you. In addition, the State, with all of its resources, has a significant advantage throughout the process over you. However, by examining all relevant aspects of your case, a Charlotte DWI arrest can be challenged in court. Regardless of your circumstances, we can usually help our clients get through this most difficult time in their lives. That’s promise and our pledge to you as our client. Because we are interviewing to represent you, we do not charge for initial consultations. Rather, we suggest you interview several lawyers before deciding who to hire. Furthermore, we recommend you retain the firm that gives you the most confidence and also puts you at ease. Certainly, we want to be your lawyers and will fight hard if you put your trust in our firm. But even if you hire another firm, you are going to feel better after meeting with us. So call us now at 704-351-7979 or email robert@rjrlaw.com and let’s start your defense. **Membership in professional organizations shows our commitment to excellence in our profession but is not intended to promise a particular result. Rather, each case is different and individual facts determines outcome.